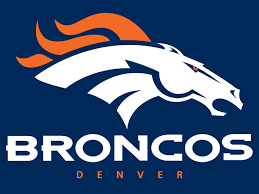 Get your Broncos tickets here!! Despite finishing with a 9-7 record the Broncos suffered a Super Bowl hangover last season and did not make the playoffs. Looking to get back on track, they will open up against the LA Chargers on Monday night. Led by QB Trevor Siemian and 1000 yard receivers Demaryius Thomas and Emmanuel Sanders, the Broncos have the tools in place to bounce back in the highly competitive AFC West. First round selection T Garett Bolles will help shore up the OL. Pro Bowlers LB Von Miller, and CB Aqib Talib will be joined by LB Brandon Marshall, and S T.J. Ward to make a formidable Broncos defense. 2 TIX DENVER BRONCOS @ vs KANSAS CITY CHIEFS 12/15 - LOWER SIDELINE - ROW 18! 2 DENVER BRONCOS @ vs INDIANAPOLIS COLTS 10/27 - LODGE LEVEL SIDELINE ROW 2!! !